Formerly Chippewa Golf Club, Southampton Golf & Country Club is a vision of luxury cushioned by what is the natural beauty of Bruce County. Built in 1963, Chippewa’s course architect was C. E. (Robbie)Robinson. A student of Stanley Thompson, Robinson moved on to become the premier golf course architects of his time, designing over 100 courses across Canada. Robinson was also a mentor to award-winning designer Doug Carrick. With majestic birch and pine trees bordering the fairways, Robinson designed Chippewa as a challenging parkland course that rewards the golfer with a pleasurable and satisfying experience. 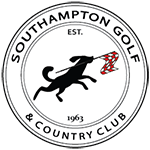 Southampton Golf & Country Club’s main building that includes the Banquet Hall, meeting rooms, change rooms and lounge areas has always been a conversation starter. It was fashioned with a panoramic view of the course and since the opening of Chippewa, it has offered guests a stellar vantage point from which to view the always striking courses of one C.E. Robinson.